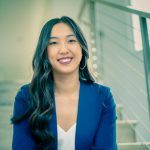 In Laserfiche Workflow 9.0, you can test workflows directly from the Workflow Designer without having to assign starting rules or open a Laserfiche client application! Evaluating workflows is an important aspect of the design process because it ensures proper performance. If starting rules or a business process rule are not assigned to a workflow, it will not run unless you start it from the Workflow Designer. This feature allows you to work with a draft workflow without worrying about it being accidentally started. Once you build and configure your business process in the Workflow Designer, test it by clicking the Run Current Workflow button in the toolbar. 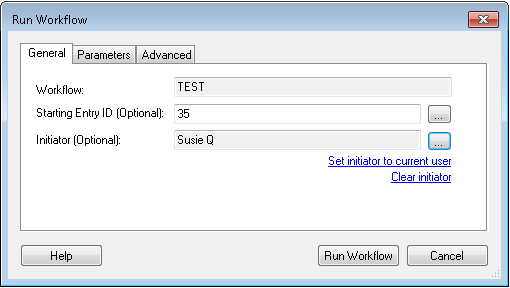 The Run Workflow dialog box will open, allowing you to optionally select a starting entry on which to test the workflow and choose the workflow’s initiator. Click the browse buttons (ellipsis) to select an entry or user in your Laserfiche system. If you are running a workflow that has input parameters, the Parameters tab will be visible. 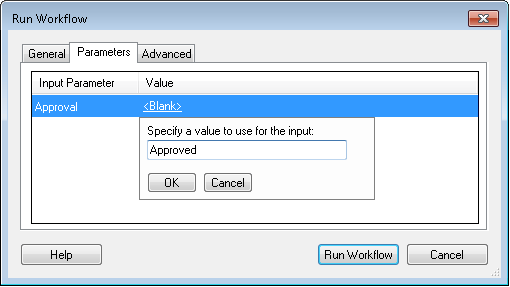 This allows you to provide test values for your workflow. 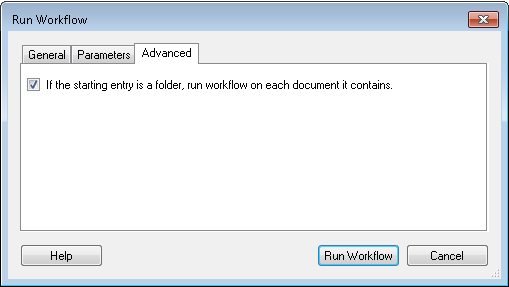 If you selected a folder as the starting entry and you want to run the workflow on each document in that folder, open the Advanced tab and select the advanced option. 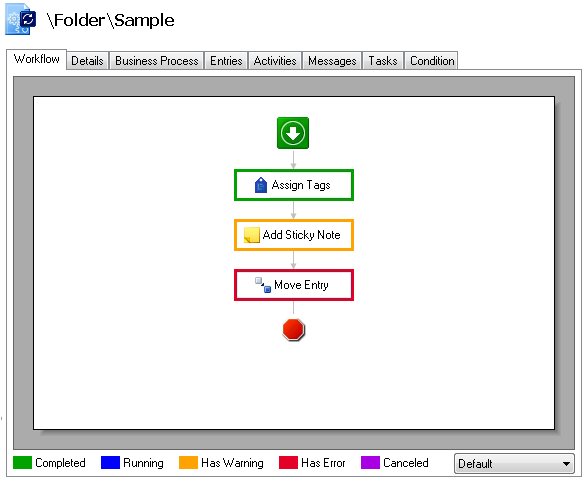 Click Run Workflow to start the workflow on the selected entry. If the workflow has not been published, or if it has been modified since the last time it was published, you will be prompted to publish the workflow. Once the workflow runs, the workflow’s instance details will open in the Workflow Designer. These details show the status of the workflow instance, as well as the current state of each activity in the workflow. 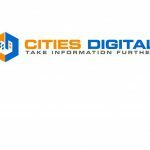 You can make modifications and rerun the workflow as necessary until you are satisfied with your workflow design and want to make it available in your system.